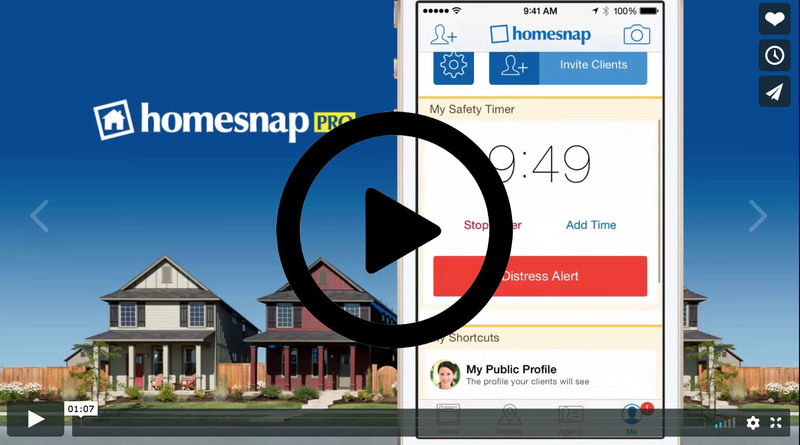 In honor of October’s REALTOR® Safety Month, we wanted to remind our members of two (2) safety features available in two (2) of our most popular tools-- Homesnap Pro & ShowingTime. We strongly recommend using these safety features together as a part of your workflow when working with clients. 2. ShowingTime’s Buyer & Seller Profile: Before scheduling showings or meetings, we recommend adding a profile to your buyers and sellers with their name and contact info as well as any additional notes that might be helpful. This profile feature also has a section for tours with each specific client for addresses. If you happen to find yourself or one of the agents in your office in an emergency situation, this client information/profile is available for brokers and brokerage admins. Please note, all client information is private to any other agents/user. The brokers and brokerage admins have the security clearance to see these tours and contacts—if the information needs to be quickly retrieved.